Celebrate the beginning of your crazy good savings + life in Korea with Dealicious! All of this is just for 1,000 KRW!! 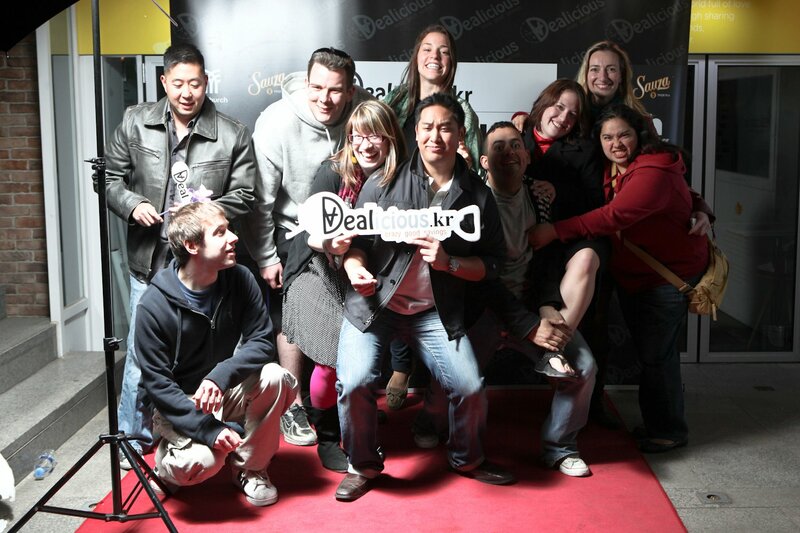 We will also be announcing the winners of John Legend concert tickets and premium liquor bottles (learn more about the event at www.dealicious.kr). GENERAL ADMISSION - 10,000 KRW at the gate on that day. Please share this event link in your facebook for us. ** Note from Herbie: My brother is an actor in Korea. To satisfy your visual cravings, he will bring some celebrities (actors,actresses,models,singers and Comedians) ;). 4월16일(토) 세계최초 3개국어 소셜커머스 딜리셔스가 론칭파티를 개최합니다. 파티의 티켓은 4월10일 일요일부터 저희 사이트에서 구입가능(www.dealicious.kr) 하오며,90% 할인된 가격으로 온라인을 통해 판매 하게 됩니다. 5. 행운권추첨 이벤트를 통해 나이키,곤지암 1박2일 숙박권,Sauza 데낄라 bottle,펜처치 의류등등 많은 상품을 드립니다. 6. 이외에도 다양한 이벤트가 여러분의 시선을 사로 잡을 것입니다. 참고로, 저희는 포토존이 설치되어 있고 연예인 및 각계의 유명인사들이 저희 파티를 오셔서 자리를 빚내 예정입니다. 파티 복장이나 클럽복장으로 참석해 주시면 감사드리겠습니다.